If there is any activity on your Car Next Door account during a calendar month, we are required to send you an invoice the following month - even if you don't owe anything. 1: You booked a car in the previous calendar month. If so, we will send you an invoice as a record of that trip, even if you don't owe any money. If you didn't drive, you may have been charged a cancellation fee. You can log in to your account to check your past trips and see the cost breakdown. 2: There was some other activity on your account in the previous calendar month. The charges for your tolls for a previous trip may have come through, or you may have had a fine or other fee. There may have been a refund or credit to your account. You can check your transaction record by logging in to your account. If the balance is $0.00, then you don't need to pay anything. 3: You have a credit in your account, or an overdue amount. If your account balance is not $0.00 then you will receive an invoice each month, even if there haven't been any transactions during the month. If you have a credit, and are not planning any future trips, we can refund the money to your bank account - please email members@carnextdoor.com.au to request this. If you owe money, you will continue to receive an invoice each month until the account is settled. 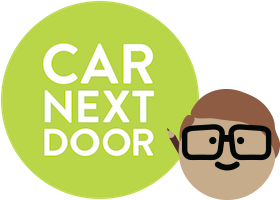 If you would like to discuss the charges or a payment plan, please email members@carnextdoor.com.au. Even if you have stopped renting out your car or cancelled your Car Next Door membership, you may still receive an invoice from us for these reasons.